Home Everything else 30 Must Have Foldable Camping Gadgets. This collection of ‘Must Have Foldable Camping Gadgets’ are perfect for your camping and features space saving design to make your camping more fun and enjoyable. Hydrapak’s Water Bottle: The Hydrapak’s Water Bottle is space saving bottle that makes it a perfect companion for camping. Patagonia Houdini Jacket: The Patagonia Houdini Jacket features a durable, waterproof, and light nylonshell that blocks the wind and cold while letting your body breathe. When not in use you can compress it into a tiny, packable pouch for storage. 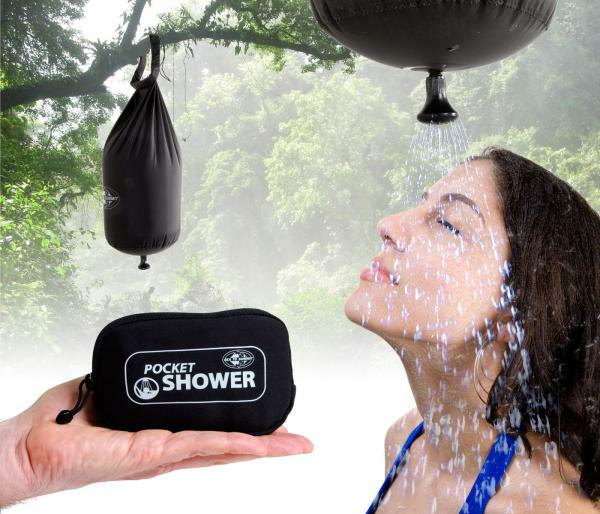 Inflatable Solar Lantern: The Inflatable Solar Lantern is a lightweight, waterproof and supremely portable lantern.Pocket Shower: This cool tiny gizmo unfolds to show a high performance waterproof reservoir that holds ten liters of water. And the black fabric will (given a sunny day) warm the water up in no time. Fireant Multi-fuel Backpacking Stove: It weighs less than 2.9 ounces, is made of pure Titanium, yet strong enough to hold over 100 lbs. It packs flat, small enough to place in a shirt pocket and prepares meal with only a handful of sticks. Aeros Premium Pillow: This feather-light and compact inflatable pillow is essential for an energizing sleep you want in the wilderness.PackBack: This PackBack from Trek Light Gear will hold up to 40lbs of gear and weighs only 3oz; it packs down into a tiny pouch when not in use. It features a zippered main area, an interior pouch to hold your keys, smartphone and other small items. Plus it features an additional zippered side pocket to keep all your items organized and easily accessible.Tea Kettle: It’s a modern take on the classic stovetop teakettle; this space saver takes under 2.5 inches when compressed. Makes it perfect for campers, RV owners, and anyone who has limited space.Foldable Solar Powered Lamp: This portable solar powered lamp features a foldable design for easy transportation and storage. It recharges during the day and the stored energy powers up the lamp at night.Canon – 40: The Nemo Canon – 40 down sleeping bag features a specialized design that improves your sleep under a wider range of conditions. The entire exterior of this sleeping bag is constructed from waterproof and breathable fabric to protect you. The unique Toester Box construction keeps you warm, and it’s filled with premium 850 fill power down that trap layers of air for natural insulation while high loft ensures warmth and compressibility. When the weather warms up, its Thermo Gills allow heat to escape without letting cool air; while in extreme weather, the hoodie holds warm air around your face. Helinox Cot One: The Helinox Cot One is a lightweight folding camp cot that takes camping to next level of comfort. It features Helinox’s unique tension system that provides a strong support and quick, simple set up. It weighs less than 2 kg, can take up to 150kg. Firebox Nano: This cool backpacking stove weighs less than 6 ounces, is only 3″ wide and folds down to a ridiculously thin .25″. It’s one of the smallest wood-burning and multi-fuel stoves in the market. Sea To Summit Ultralight Sleeping Bag: This minimal-packing sleeping bag folds into a compact bundle without taking much space in your camping gear. Foldable Bottle: Now you don’t have to take along heavy bottles for outdoor sports, this foldable bottle is compact and quenches your thirst. Treo Chair: The Treo camp chair provides the comfort and ease of using a big chair, and packs entirely into its own tripod base.X-Sets: The two piece X-Set features a small storage pouch, X-bowl and X-cup and the three piece X-Set features the large storage pouch, X-plate, X-bowl and X-cup. These folds flat for compact packing and are perfect for camping.Snakey: Snakey makes packing for the outdoors easy and fast; Snakey compresses a sleeping bag in seconds. Foldable Drinking Glass: It is a foldable drinking glass that is convenient and easy to use. It flattens to save space and comes with a bottle opener. Foldable Solar Cooker: This solar cooker is foldable and lightweight; its perfect for those who want to pack light. Foldable Bucket: Pack-Away is an easy to store foldable bucket, when not in use, just push it down flat and when required, just push it back out. Trotter Cooker: This solar cooker is light and ultra-portable, assembles in 2 minutes and folds up into a bag. Allows 15-20 minutes’ pre-heating time and it reheats your recipes and cooks simple ingredients. Its temperature can reach up to 120°C and it can cook for 2-3 people. Foldable Speaker: FYLM is a foldable speaker that’s about millimeters thick, and when folded can be kept in any pocket, notebook or handbag. 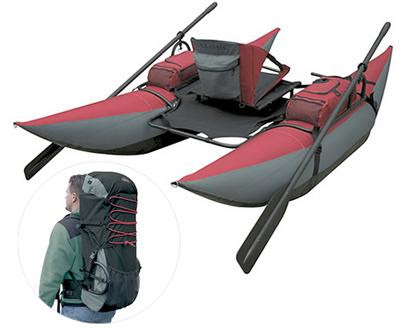 Backpack Inflatable Pontoon Boat: It weighs 42 lbs, each pontoon clocks in at a full 8′ long and can hold up to 350 lbs together and takes 15 minutes to assemble. Foldable Bowl: This comes from Orikaso and holds liquids perfectly.